Today’s competitive tech world is all about distinguishing a new solution to an old problem: one that can replace and disrupt traditional models – all while promising a saving in cost or time, or both. So much digital disruption is taking place across so many fields, it can be hard to keep up. The one area where digital disruption is really making an impact is within the ‘sharing economy’. The sharing economy has disrupted several industries and infiltrated many areas of our lives – cars, bikes, houses and apartments (through Airbnb), Uber, ride-sharing... you can even share the burden of odious tasks with strangers for a price. Combining the latest in technology with this new collaborative consumption you get... 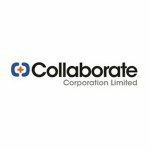 Collaborate Corporation (ASX:CL8). CL8 has created online marketplaces and trust technologies that offer secure, sustainable competitive advantages and the ability to scale across multiple industries. How? Through web-based platforms like DriveMyCar, MyCaravan, FundX, Mobilise, Peer Pass and more – combined with key partnerships with global players like Uber, Subaru, Aon, McMillan Shakespeare, Trivett, Midas... and closer to home, Wilson Parking and Park & Fly. When we last wrote about CL8 towards the end of last year in the article ‘ Why did Uber Choose to Partner with this ASX Micro Cap? ’, its agreements with Uber, Aon and Subaru were hot off the press... and there’s been plenty to write home about since then. The biggest news is CL8’s newest deal with Subaru. Through its DriveMyCar division, CL8 has developed a unique experiential marketing package with Subaru (Australia) which will result in 101 Subaru Impreza 2017 model vehicles being added to its fleet. That’s a brand spanking new high performance automobile, all ready to be collaboratively consumed. The deal represents an increase of over 20% based on existing fleet numbers and the addition of these vehicles equates to a value of over $2.2 million. Under the company’s business model, the vehicles will be available for both private rentals and UberX rentals, which means UberX drivers will expand market coverage for CL8 and Subaru as both drivers and passengers experience the vehicle’s features. 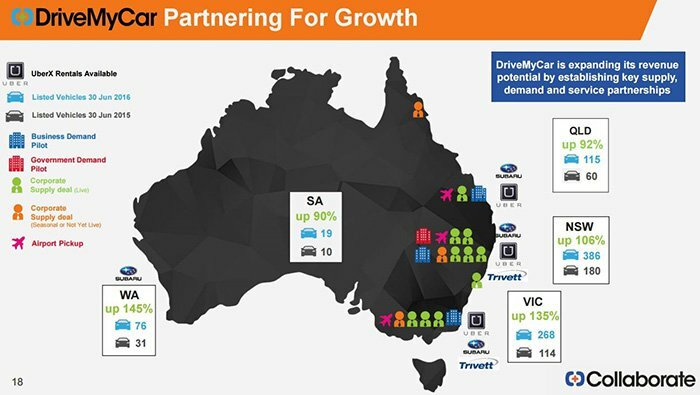 Commercially this deal has the potential to generate significant income for DriveMyCar as the vehicles will be available for rental from mid-March, 2017 in Sydney, Melbourne and Brisbane from a price of $199 per week. When you do the calcs, these vehicles could actually result in almost a 50% increase in rental transaction values (and revenues). That’s a highly competitive price point compared with traditional car rental groups. Another important milestone achieved by the company is the news last week that CL8 had secured an underwriting for nearly $1.3 million in its listed options, a development which is expected to address all of the company’s short to mid-term funding needs. So with money in the bank for the short to mid-term and commercial deals now in place that could significantly lift revenues, it’s time to catch up on the latest news to come out of this ASX-listed small-cap, that’s now speeding along in the sharing biz. CL8’s latest key announcements show it’s starting to accumulate the necessary ingredients to become cash flow positive in the near future. With a market cap of just $8.3 million, that’d definitely be getting off to a good start, especially in such a large and scalable market. As you can see above, the market opportunities are in the billions of dollars and across several streams. Right now, CL8’s DriveMyCar platform is speeding the company along and a fresh deal with Subaru Australia could have a significant impact on its bottom line, especially as UberX drivers are likely to become involved. This week it announced the expansion of its fleet by 101 Subaru Impreza’s (valued at over $2.2 million), as part of a newly created marketing package for the automaker giant. The idea is that having these vehicles available for rent through DriveMyCar will allow thousands of potential customers to experience the new Impreza in real life. A massive advantage over the standard TV, print and online advertising that other auto makers rely on for their vehicle launches. This ‘experiential marketing’ campaign provides Subaru with a significant marketing advantage over its competitors and DriveMyCar is essential to making it possible. And because the vehicles are rented out, the campaign helps to pay for itself! And it is not just those renting the vehicles who will get to experience them. The models will be available to UberX drivers too, meaning their lucky passengers will automatically get a ride inside an Impreza 2017 model and get a taste of its quality and features. With up to 101 cars on the road, tens of thousands of UberX passengers could be exposed to this marketing campaign. Compare that to the cost of advertising that other auto makers need to incur to get a few people to test drive their vehicles and you will see the value of what DriveMyCar is delivering. Rental of vehicles to UberX drivers is a growing market in itself, as they look to increase the luxury experience of their rides. CL8 is looking to corner a big proportion of this market and with deals with both Subaru and Uber in the bag, it is well on its way to doing so. And with DriveMyCar’s business model it means it doesn’t need to buy the vehicles and take on the risks of ownership because it generates revenues by using other people’s vehicles. However, revenue generation is no guarantee to continue in this manner for CL8. The company is still an early stage play, and investors should do their own due diligence on the company before choosing to invest. CL8 expects the new deal with Subaru to lead to material revenues for DriveMyCar... and represents the latest expansion in the existing relationship CL8 has with Subaru. It also represents the largest ever fleet increase for the company, boosting the number of active vehicles by over 20%. Using $199 per week per vehicle, if all vehicles were rented out, you can calculate that this single deal could increase the Rental Transaction Value of the DriveMyCar business by more than 50% when looking at the Rental Transaction Value generated in the December 2016 Quarter. Other automotive manufacturers haven’t yet explored this means of longer ‘try before you buy’ test drives – putting Subaru at a distinct advantage thanks to the DriveMyCar model. But you can bet that other vehicles brands are watching this with close interest. We wouldn’t be surprised if Subaru wasn’t the only brand to utilise this new marketing channel. The arrangement has two key components: extended test-drive rentals available for prospective Subaru customers; and the availability of the model to UberX drivers. The 101 vehicles will be available to rent from mid-March, 2017 in Sydney, Melbourne and Brisbane from the very low price of $199 a week. If you’re wondering about the very specific 101 number amount of Impreza’s... that’s to match the 101 new features that are present in the 2017 model. The 101 angle is a cheeky bit of marketing to be used to promote DriveMyCar and UberX. If the Subaru deal wasn’t enough to convince you of the forward momentum of this company, perhaps the quarterly will. Before we do that, it is worth re-highlighting one of the key benefits of DriveMyCar’s business model – it does not have to buy any of the assets it rents, but it takes a substantial clip of the ticket on the way through. So for the addition of 101 Impreza’s to its fleet, DriveMyCar has zero purchase or leasing costs. 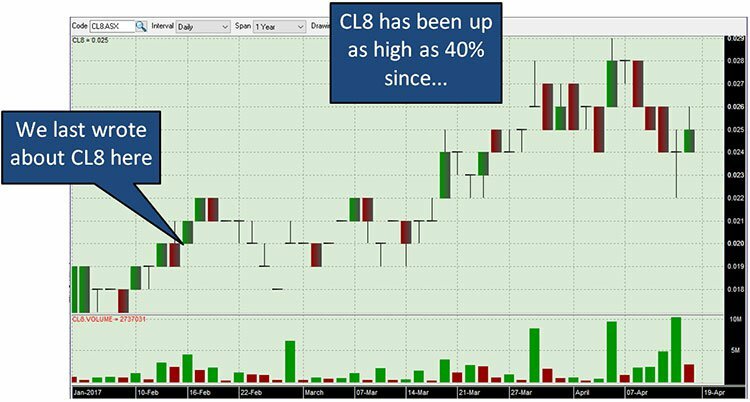 CL8’s quarterly report for the three months to December 31, 2016 contains more than a few gold stars for this on-trend tech play. Highlights include a 13% increase in customers receipts, compared to the preceding quarter, and a 42% increase in receipts compared to the same quarter in 2015. These higher receipts meant that net cash used in operating activities fell by 8% in the quarter. While cash receipts were 13% higher, product manufacturing and operating costs were only 1% higher than in the September 2016 quarter ... what that demonstrates, in short, is the benefit of scalability. An increase in business without any significant increase in overheads puts a company like CL8 in a great position. Add to that, CL8 reported its highest ever quarterly numbers for rental transaction value, gross revenue, net rental days and overall vehicle rentals for DriveMyCar and MyCaravan. We’ve banged on about Uber in terms of its relationship with CL8, but since September when the two companies first partnered, Uber has itself played an important role in CL8’s growth. CL8’s gross revenue from UberX rentals compared to the September quarter grew by an impressive 164%. That revenue growth was boosted by an increase in the supply of new vehicles from both Subaru and Trivett (which only commenced late in the quarter) with whom it also has an exclusive agreement to supply BMW, Jaguar, Land Rover and Mini vehicles (more on this later), as well as seasonal price increases over Christmas. To add a little more fuel to the funding fire, not long after the end of the quarter CL8 received an R&D incentive tax refund of $183,178. By quarter end, the company held a tight balance of just $115,000 cash. But CL8 is comfortable with this as it anticipates cash inflows in the new year... and the fact that with easy access to cash via a Flexible Equity facility to the tune of $1.76 million, it probably won’t need to reach for the panic button. CL8 can draw-down on these equity funds at any time they need to. The company also flagged that they may raise funds from alternative sources too. But given the most recent developments, it looks like CL8 won’t be needing those funds. CL8 has 172,089,484 CL8O listed options expiring on 30 April 2017. If all options are exercised it will provide a very handy $3.44 million of working capital that can be put towards further growth and allow it to cease drawdowns on its Flexible Equity facility. The company announced just last week, that $1.26 million of these Options had been underwritten . In a very strong show of confidence in the Company, existing sophisticated shareholders have agreed to the underwriting of 63 million Options (and this was when the share price was lower than the exercise price of the options!). This should ensure that CL8 has the cash to continue its growth, revenue and the opportunity to further develop its partnerships, with no need to issue more shares under the Flexible Equity Facility. It’s all part of the supportive environment that now exists for a sharing economy play like CL8, if they’re smart. CL8 has reached agreements with several key partners, as we’ve already mentioned. And recently it reached a new strategic understanding with Trivett Automotive , one of Australia’s biggest prestige auto-dealers representing 15 brands across 23 dealerships. Like any good deal, it’s a win-win scenario for both companies. BMW, Jaguar, Mini and Land Rover vehicles will be promoted and rented to private and corporate customers – and all the while, the transactions will occur through CL8’s key product DriveMyCar. Trivett is happy, and why wouldn’t it be? The arrangement allows potential buyers to experience a range of luxury models sold from its Sydney and Melbourne dealerships, including those that are rarely available for rent through traditional car companies. Trivett Automotive is the retail unit of Inchcape Australia – which boasts brand partners in Rolls-Royce, Bentley, McLaren, Honda, Subaru and Mitsubishi... a pretty major player, you might say. This was the second deal CL8 has secured with an Inchcape brand following the announcement of its initial deal with Subaru in October last year. What puts CL8 above competitors? With no other ASX-listed company operating a peer-to-peer online marketplace that can monetise under-utilised assets, CL8 is looking to capitalise on the sharing economy trend. It has an excellent idea; entering corporate partnerships with high profile companies; a scalable model; no debt, secured funding for the months ahead; and plenty of news flow unfolding on a regular basis. There’s also the high-margin, low-overhead nature of a web-based company like CL8... and they plan to take full advantage. A key element of these models is trust. 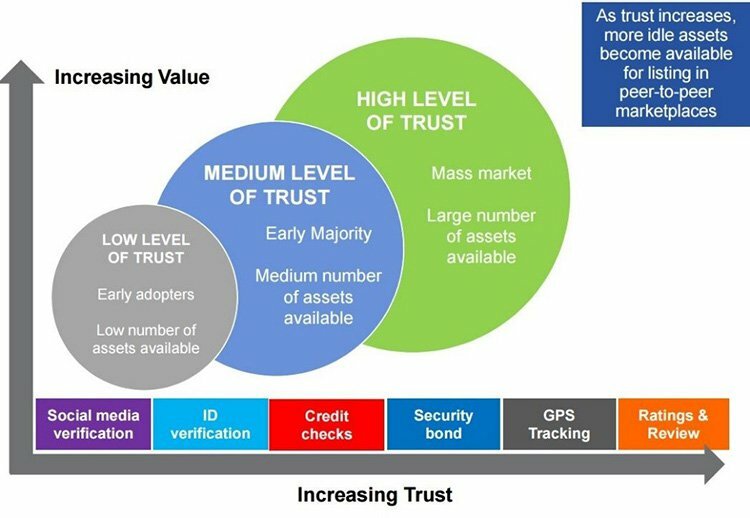 That’s why CL8 created its proprietary verification and reputation platform, PeerPass . The platform combines common verification processes like social media, with more heavy-duty checks through greenID , Veda credit checks, e-way secure payments, e-Signing and document checks directly with the Attorney General’s department. Combine these factors with CL8’s main play, DriveMyCar – its biggest revenue generator in a car rental market worth $3.4 billion in Australia alone – and you have the makings of a potentially very lucrative business. As at September last year, DriveMyCar had already paid over $5.35 million to vehicle owners – and the figure will have grown considerably since then. As you can see, this company has been busy and with the current Subaru deal playing nicely into its growth trajectory, 2017 could see it hit even bigger milestones. 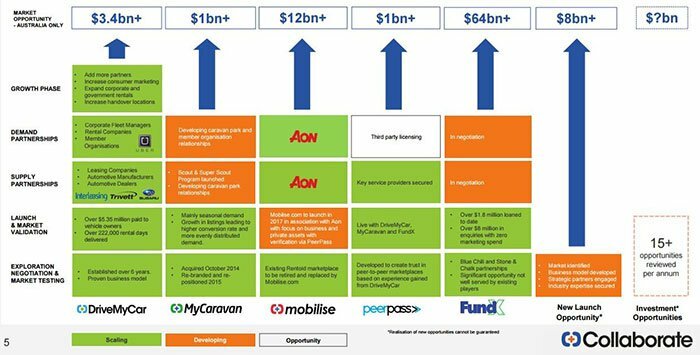 CL8 has a variety of current and future revenue streams – DriveMyCar and MyCaravan revenue, PeerPass licensing, and that’s not even mentioning the company’s general Mobilise sharing web platform, or the other new launch opportunity they have referred to in presentations. That’s a lot of factors and CL8 groups working together – collaborating – towards a high-margin sharing economy future.